These mirrors are fitted with an unbreakable stainless steel face. Using the latest electromechanical techniques, the face is highly reflective and significantly superior to a polished steel faceused by many manufacturers. 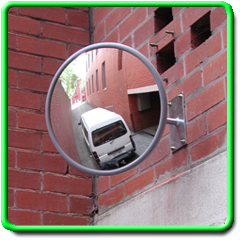 Fitted with a strong foam coar vinyl back, these mirrors will give years of service without any deterioration in appearance or performance. 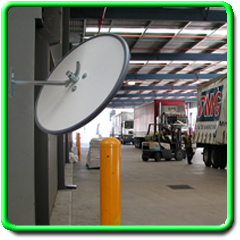 The unique industrial strength, zinc coated J-Bracket gives almost unlimited options for getting the best viewing angle with very easy adjustment.